From the moment your potential customer opens your website you have only a few minutes to convince him that you are able to deliver the service. The competition is high and so are the expectations your customers have. Is your website mobile-friendly? Is the design intuitive? Is the payment system trustworthy? Giving the right impression from the first click is your only chance to succeed. There are many ways to improve your website. This list has been approved by Maven project managers and SEO specialists as the key aspects where most websites can improve their performance. In the world where traffic from mobile constitutes over 50% – and growing – it is difficult to overestimate the importance of mobile-optimized websites. Google takes note of that, too, and their search algorithm is set to display websites unoptimized for mobile devices lower than those optimized. This translates to your website looking irrelevant to your potential clients, and in most cases you are outright invisible. Once again, Google algorithm puts websites with low loading speed lower among its search results. Why else is loading speed critical to your website success? Well, according to multiple surveys including this one from Kissmetrics, users leave websites that do not load within two seconds. There are many ways to facilitate quick loading, and step one would be to request technical audit and check what stands in the way: large images, lack of caching and compression, too many redirects or any other issues. In any case, this is the area which you should regularly test and improve. In the world where users have to protect themselves from phishing scams or malware and customers don’t buy from sites that look as though they can pose a risk of fraud, you want to be very aware whether your website is perceived as trustworthy and safe for users and your conversion rate does not suffer from your image. First and foremost, you actually want to have a secure website in your own and your customer’s best interest. Therefore make sure you or your hosting provider has the security and encryption software that will do the trick and use badges to display your security precautions. Second, make your website look sharp and efficient to avoid the image of a bad service provider. You want your customer service to be easily accessible and friendly, your website up to date and efficient for the customer. When competition for a customer is so high, who has the luxury of disappointing the visitor at the doorstep? Efficient navigation must be user-oriented and reflect user search process, and for websites with and extensive structure and deep navigation menu becomes a real challenge. Stick to all the tried and proven tricks (consistent navigation bar and structure, clear and concise wording, good design and subcategory breadcrumb for deep navigation), and your visitor will appreciate your excellence. Images really help when you sell physical goods. Multiple surveys confirm that most customers regard product images more valuable than product description, rating or reviews. If you lack 5 – 6 high-quality, well-lit, clean photos made from different angles to accurately represent the item, your customers will have trouble making the decision to purchase. Both from visual and from informational point of view, your visitor needs that so called negative space to see and take in the actual subject. Negative space is the white/empty space around the main object that accentuates what is really important. This concept is known to both artist and consumer psychologists: you want only the minimum of absolutely relevant information to be standing between the customer and the product, the user and the content. So make sure you do not overwhelm your customer with banners and ads, text-heavy pages or cluttered design. So many eCommerce companies make the same mistake: Instead of sending carefully written, smart and relevant messages to selected audiences, the bombard the whole database of their clients with generic emails, and they do it way too often. Poor quality of email campaigns combined with their excessive quantity lead to customers feeling rather irritated than interested and seeing little value in being a subscriber. On top of that, such low value email campaigns lead to lower open rates each time you send an email. So remember to target only a part of your audience with relevant messaging. Plus, it is smart to provide different subscription types so that your audience can choose whether they want to stay posted on regular emails or just a weekly/monthly summary. Yes, spending time choosing the right product can make some of your customers wander around your website for hours, but when it comes to checkout, they can get irritated by long, confusing and inefficient procedures. The level of frustration can get even sky high if the customer fails to pay online and go through the process all over again. Of all Amazon’s patents the one-click payment one granted in the US has reportedly brought the company millions of dollars, because this is such a smart and efficient way to complete a purchase without compromising security. This is critical to building a relationship with your customer. Yes, you have it all well thought-through: your product is excellent, prices are hot, web design is smart and shopping cart is fool-proof. But no matter how much questions you have been able to avoid by making shopping process easy and efficient, there are still around a few hundred potential inquiries left. Your customer service should be available at all times to help out. Good accessibility translates to customers as being friendly and helpful. If your contact information is not there on your website or it is difficult to find, you come across as a virtual company without the physical feel about you (therefore unreliable and difficult to deal with). On top of that, not being accessible is a sure way to lose customers ready to buy, because so many of them need to clarify a small issue standing between them and the purchase. Of course, some of them will find a way out but having to guess will diminish their shopping experience. Today, the best practice is to have at least three contact channels: telephone, email and live chat. Human interaction, though by proxy, is still the preferred way to answer individual request. Do not neglect it. People who browse online stores like to see content made by their peers. Besides, customers see your website as a sales stand, but lack of the ability to get the physical feel of an item makes many customers uncertain about their decision to buy through this specific website. The easiest way to achieve this is by enabling reviews and testimonials. People tend to trust online reviews almost as much as they trust opinions from people they know. The easier it is to leave reviews, the more happy customers will do so. Another possibility is to encourage customers to submit images or videos of themselves using the product they purchased from you. Some businesses even offer a discount to customers providing such content. The younger a customer is, the more likely he is willing to have the ability to give a public feedback on the services or products purchased. Plus, the ability to upload various types of content will help you make your website more personable AND improve your SEO. Finally, when you own a business, you want to know how your customer behaves on your website. With this data you can understand your customers and their needs better, and keep on improving your website continuously and grow your sales. With Google Analytics you get a lot of useful information free of charge: e.g. how people find your website, how much time their sessions last etc. With another tool called Crazy Egg you will be able to get a heat map of your website and the way users interact with your website. 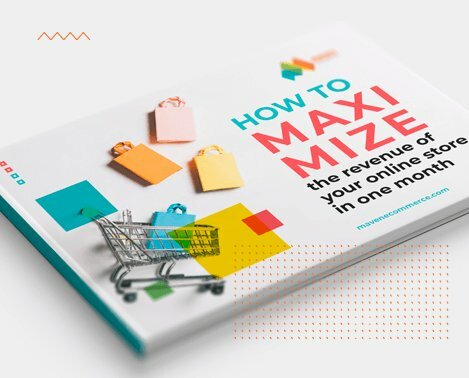 By reviewing your analytics at least on monthly basis, you will be able to track where to improve and how these improvements help you raise your conversion rates.